Dodington Parish Council are responsible for the burial ground at St Peter’s Church, Wapley. 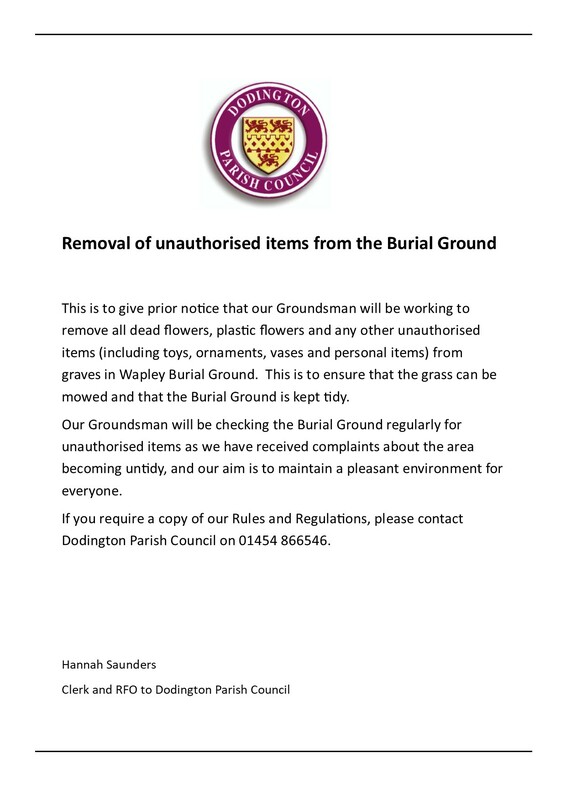 We will soon be having a clear-up of the Burial Ground – please see below for more details. Our Burial Ground rules and regulations can be viewed here.